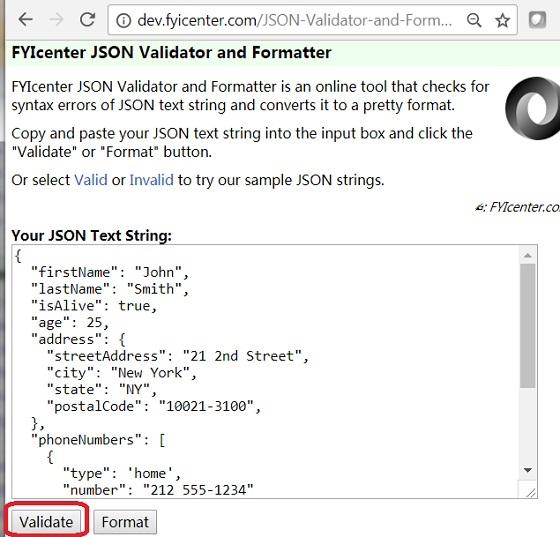 How to use the JSON Validation Tool at fyicenter.com? 1. Go to the FYIcenter JSON Validator and Formatter page at fyicenter.com.  2017-08-13 Neil: Not too bad!  2017-12-05 Chad: Love it!